On 27 November David Shahnazaryan had a press conference in «Hayeli» club during which he referred to the statement of the «Civil contract» party member Sasun Mikayelyan made during the campaign in Talin «we won the Artsakh war, I don't hesitate and I am not afraid to say that this victory that you, Armenian people, had in our Republic, is more important than the Artsakh liberation war» and stated, «in reality the statement of Sasun Mikayelyan is a political program implemented by Nikol Pashinyan, that is to say, power in place of Artsakh. I promise that all of you will see that. So, Sasun Mikayelyan directly expressed the political goal of the present authorities». Thus, he accused the current authorities and acting Prime Minister Nikol Pashinyan of high treason. David Shahnazaryan claimed and confirmed the given accusation on 4 December 2018 during his regular press conference taken place in the same club. During this press conference he didn't present concrete facts or evidence justifying the given accusation and stated, «Today I haven't presented all the facts that prove the anti-Artsakh policy of the existing administration. There is still much to say”. 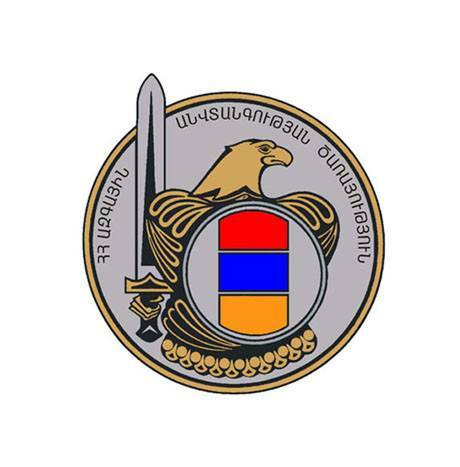 Taking into account the circumstance that, according to the national security strategy of the Republic of Armenia, the Republic of Armenia is the guarantor of the security of the population of the Artsakh Republic, and taking into consideration that, according to Article 299 of the RA Criminal Code (assisting in the implementation of hostile action committed by a citizen of the Republic of Armenia against the self-government of the Republic of Armenia), there are possible elements of high treason in David Shahnazaryan's statements made on 27 November 2018 and 4 December 2018 during the press conferences, the statement was considered as a report regarding particularly grave crime under Articles 176-177 of the RA Criminal Procedure Code. Pursuant to Article 180 of the same Code, it is being considered in the Department on the Protection of Constitutional Order and Fight against Terrorism and the legality of motives and the sufficiency of grounds for initiating a criminal case are being checked. To this end, in order to consider the given report, on 5 December 2018 David Shahnazaryan was invited to the administrative building of the NSS of RA by the written notice to give explanation in essence relating to the report and to present justifying documents and other materials. At the same time, we urge all the citizens who have information on the possible circumstances reported by David Shahnazaryan to appear in the NSS of RA. The results of the report consideration will be additionally reported upon the corresponding procedural decision.